« Traditional Shitamachi Kissaten — Sunny Cafe in Asakusa! This is my favorite blog post that you’ve written so far! You’ve got me in tears…..I’m saving up all the money so I can come visit you!! No one ever talks so honestly about Japanese society and their perspective on keeping peace like this—. Your post was wonderful. I really really loved this article. I will have to let my daughter read it. Cause, I plan on getting a job in Japan and moving there. My daughter is worried because I have no problem being by myself. I have never been married. But my love for Japan has been deep and growing since I was a little girl. I may have never been to Japan, but ever since I was young my heart and soul yearn to be there. Arigatou Gozaimasu! This is a wonderful read. It’s not always easy ( most likely never ) to say this type of things but we can feel your emotions through your words so we can only agree to this. 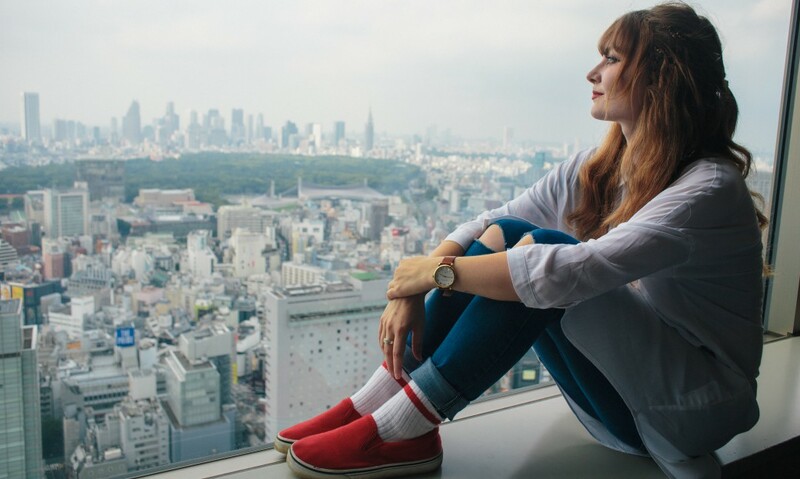 I always wanted to live this kind a life I see on your blog : going to Japan, experiencing new things, meeting new people and living happily ever after… But I guess we all have to compromise everywhere in the world. What I want to say is don’t lose faith and keep on doing your best, you have people/friends with you ( may they be next to you or more virtual like us). Thanks for a super down to earth and informative list! As a twenty-something myself I’m considering where I want to be in life. I’m going to go to Japan for a trip soon and I’m seriously considering trying to teach there…. Your post gives me courage! Thank you. I can only agree with the other comments: I really enjoyed this post. Though I hope that your grumpy phase won’t last you too long. Nevertheless it was kind of interesting to hear that your daily life in Japan is not only candy cotton and butterflies all the time. Sometimes I tend to forget that all those j-vloggers / bloggers & youtubers have down phases, too. Whenever I scroll through Instagram & Co it always looks like all of them live the perfect life in Japan. Everything is cool and shiny. From time to time I catch myself getting frustrated about that and feeling like I haven’t achieved enough in my life yet. Thank you! Keep it up, Stasia. And I really hope you’ll gain back your energy soon! Such a beautiful, thoughtful post 🙂 I’m even more excited to visit now next month! Sounds like a beautiful way of life you’ve got there! Amaaaazing post! Even though I don’t live in Tokyo I feel like this resonates with anyone who lives in Japan for over at least a year. When the OMG JAPAN sensation fades and we have to get into the reality that we have lived here for such a pivital time of our lives. I think getting bitter is inevitable and I am experiencing that feeling right now. But you are so right… it’s not so easy to just get up and leave. There are still things left undone. Thank you for this thoughtful blog-post^^ I have been living in Japan now since a few years, as well, and I can totally relate to what you wrote..
What a fantastic post. “Why do you like Japan?” is a question that comes up frequently and always feels a little bit direct to me. I never know quite how to respond, because my connection to the country happened somewhat by coincidence, rather than because of a specific quality that attracted me. But you’ve put into words some of the things that I really appreciate about the place and have learnt a lot from, like #10. I think I’ve been affected by that quite a bit. Something else I also think about is the emphasis placed on focusing on a particular thing, and channelling so much effort into it (rather than just dabbling in this and that). At least, that’s the impression I have anyway. I think it’s an interesting difference from Australian culture. I’m glad you made this post. It was really interesting to see that not everything is always that fancy, great or special like it was in the beginning. There will always be bad times. Everywhere. The question is: Would there be more bad times if you were somewhere else? Are you, all in all, happier in Japan as in the UK for example? We need to focus on the small things in life. It’s the small things that make us happy. Wish you better times. It’s so true that we can explore unique places all the time. Keep up writing great posts like this one!